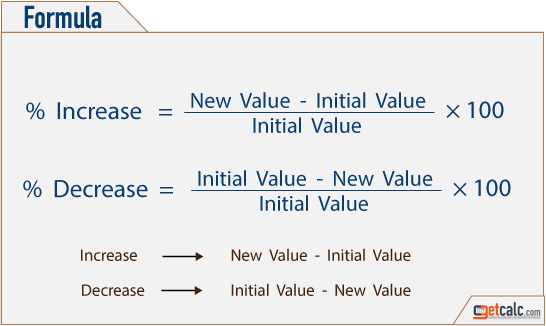 Percent Change is an important mathematical function used to measure the increased or decreased value in percentage, from the reference value. For example, what is the increase percent in price, if the product pricing is changed from $81 to $87? The answer is 7% increase in price. Similarly, the increase or decrease percent is applicable in many engineering, finance, chemical industries.